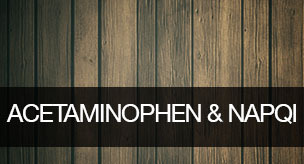 Recently publication from the Epigenomics Program, the team from the Center for Individualized Medicine looked into the relationship between Acetaminophen and NAQI ototoxic agents. Pain relievers containing N-acetyl-para-aminophenol, also called APAP, acetaminophen or paracetamol, in combination with opioid narcotics are top-selling pharmaceuticals in the U.S. Individuals who abuse these drugs for as little as sixty days can develop tinnitus and progressive bilateral sensorineural hearing loss. Recently published studies indicate that APAP and its metabolic product N-acetyl-p-benzoquinoneimine (NAPQI) are the primary ototoxic agents in this type of pain relievers. Individuals who abuse these drugs for as little as sixty days can develop tinnitus and progressive bilateral sensorineural hearing loss. However, the mechanisms underlying the deleterious effects of these drugs on auditory cells remain to be fully characterized. In this study, the group reported cellular, genomic, and proteomic experiments revealing that cytotoxicity by APAP and NAPQI involves two different pathways in Immortomouse™-derived HEI-OC1 cells, implicating ROS overproduction, alterations in ER morphology, redistribution of intra-cisternal chaperones, activation of the eIF2α-CHOP pathway, as well as changes in ER stress and protein folding response markers. Thus, both oxidative and ER stress are part of the cellular and molecular mechanisms that contribute to the cytotoxic effects of APAP and NAPQI in these cells. It is suggested that these in vitro findings should be taken into consideration when designing pharmacological strategies aimed at preventing the toxic effects of these drugs on the auditory system. Analgesic preparations containing APAP and opioids, such as hydrocodone, have recently elicited significant attention because, if abused, they can rapidly induce profound sensorineural hearing loss. The cellular and molecular mechanisms underlying the ototoxic effects of this drug combination are currently unknown. In an attempt to fill the gap in this important field of research, previously reported studies clarified the pathobiological effects of APAP and hydrocodone on cochlear hair cells, providing evidence that APAP, and not hydrocodone, was the actual culprit of the ototoxic effects of the compound (Yorgason et al., 2010). OHCs were also identified as the major target of APAP toxicity in the mouse organ of Corti, and provided evidence that HEI-OC1 cells, although not actual hair cells, are a good model to investigate the cellular and molecular mechanisms underlying APAP ototoxicity (Yorgason et al., 2010). In this current study, the goal was to further increase the current understanding of the process of analgesic-induced ototoxicity by identifying mechanisms by which APAP affects the viability of cultured HEI-OC1 cells. The results indicate that both APAP and its metabolite NAPQI are toxic for HEI-OC1 cells, but different cellular mechanisms contribute to mediate their cytotoxicity.